A definite leap in power has enabled Audi’s latest R8 Coupe supercar to gain even more power and speed to make the journey super rewarding. This is a super car that has dominating performance from the word go, and the sound of the naturally aspirated V10 engine resets your heartbeat. The V10 engine offers even more power and torque than ever before, and controllable flaps in the Audi V10 sport exhaust system enhances the characteristic R8 sound. With more power and torque than previously, the R8 V10 unleashes serious power. Two engines are available in the new Coupe: the 5.2 FSI engine develops 397 kW of power and 540 Nm of torque. 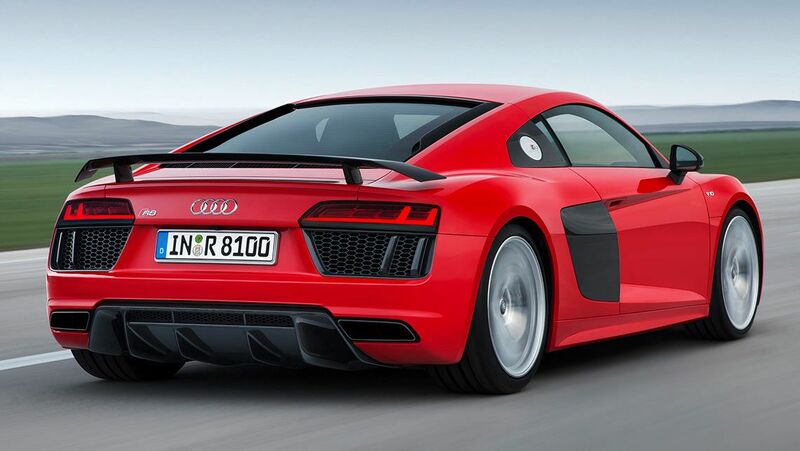 The Audi R8 V10 plus is even more powerful, and is in fact the fastest series-production Audi of all time. It develops 449 kW of power and its maximum torque of 560 Nm is available at 6500 rpm. The standard V10 engine enables the car to sprint from 0 to 100 km/h in 3.5 seconds, with a maximum speed of 320 km/h. Audi’s Plus R8 engine completes 0 to 100 km/h in 3.2 seconds, 0 to 200 km/h in 9.9 seconds, and boasts a top speed of 330 km/h. 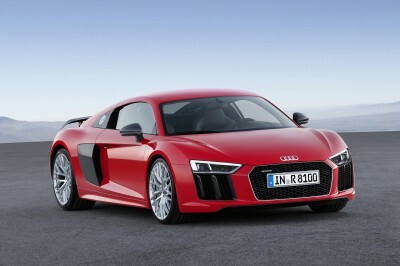 Out on the road/racetrack, the new Audi R8 Coupe is awesome! Huge AWD Quattro grip, massive acceleration and beautiful engine notes are promised right throughout the engine range. Balance and control under quick cornering is nothing short of brilliant – throw in some rain and the Quattro AWD underpinnings come into their own. Slipping through the gears using the paddle shifters is easy and fun. Both engine variants transmit the power through a rapid-shifting seven-speed S tronic transmission. The S tronic has three automatic modes and can also be controlled manually. Shift commands are transmitted electronically via shift-by-wire technology, and what makes this car so easy for people to use is the superb launch control system that is a standard feature for both models. Safety standards are pretty good for the new Audi R8 Coupe. Front, side and curtain airbags are standard for both the front passenger and driver. Active safety features include ESC, ABS, EBD, Anti Slip Regulation (ASR), Electronic Differential Lock (EDL) and a hydraulic brake assist system to enhance aggressive braking and emergency stopping power. You have to agree that the new Audi R8 Coupe looks an amazing supercar, and with all the design focused on speed and agility, you might be forgiven of thinking that surely a car like this can’t be comfortable. Audi would have us think otherwise, because inside the new R8 Coupe are some excellent racing seats covered in fine Nappa leather. They are supportive and supple, making the car nicely ready for long hours of fun at the wheel. For an extra cost, the seat material can be joined with a special colour contrast stitch – the most striking being the diamond stitch option. The seats have a heating function. The R8 Plus gest carbon wing mirrors, deep side blades and, of course, extra power. Head around to the rear of the R8 Plus, and you’ll get a first rate view of the engine underneath the rear glass pane. A new innovation for the new models is the addition of full-LED head lighting with Audi’s laser light. The laser light technology not only beams brighter than the conventional LED high beam, it also reaches twice as far. The blue laser beams hit phosphor converter plates which transforms them into roadworthy white light. A reflector bundles the beams into an almost point-shaped source of light that focuses only on the car’s own lane. The aerodynamic development of the new R8 focused predominantly on downforce, which is the force that presses the car down onto the road and enables high speeds through curves. At speed, the car can generate up to 140 kg of downforce, of which 100 kg is over the rear axle. Having this weight over the rear axle is necessary for cars that travel 330 km/h. Despite the main fun factor being the V10 engines, the new Audi R8 Coupe has some infotainment technology to enhance the driving experience. This supercar comes with Bluetooth interface technology to enable live audio streaming. A premium “Bang and Olufsen” sound system puts out some incredible surround sound via 13 speakers. Satellite navigation with voice control keeps you heading in the right direction, while live traffic updates give you plenty of options on how you will get from A-to-B. A parking system is standard and uses front and rear parking sensors to prevent mixing paints at the carpark. When you are driving a car as fast as the new Audi R8 Coupe, you’ll be glad of the car’s speed limiting cruise control feature. Though you’ll be able to outrun the cops, it’s best you stay on the right side of the law and take this car to a local track day for appreciating just how quickly you can really go! Both V10 engines enable the car to sweep past 300 km/h. 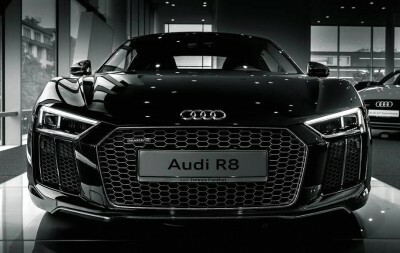 A sprint to 100 km/h from a standstill can be completed in a smidgeon over 3 seconds while the R8 plus can get to 200 km/h in less than ten seconds! At 120 km/h, the rear spoiler automatically extends to enhance the car’s road-holding capabilities. Light weight and very strong, the aluminium-carbon fibre frame holds the entire car parts altogether. Either 19-inch rims (which are the standard ones) or 20-inch rims are available for putting the rubber on the road. And as far as appearance goes, the fluid lines are extremely attractive and eye-catching. This is one of the most amazing supercars on offer in Australia. For any more information on the Audi R8 Coupe or, for that matter, any other new car, contact one of our friendly consultants on 1300 303 181. If you’d like some fleet discount pricing (yes even for private buyers! ), we can submit vehicle quote requests out to our national network of Audi dealers and come back with pricing within 24 hours. Private Fleet – car buying made easy!